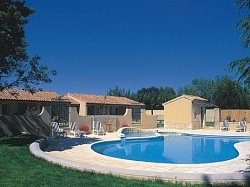 Come and relax in peace and quiet in an idyllic setting. When you stay with us, you will adore this house where the stone still has stories to tell. In the centre of the village of Molléges, Mas du Capoun is something like the holiday home in which you dream of creating lovely memories made up of the sound of crickets, the smell of lavender, laughter and smiles. The 6 rooms have every comfort, are all on the ground floor and open onto the inner courtyard. 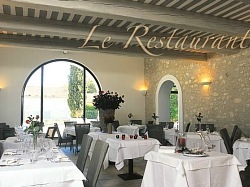 The Mas du Capoun restaurant is family run. In the kitchen, Michael is the chef and in the restaurant Michèle is in charge. Together and in a relaxed and cheerful atmosphere, they offer refined French inspired cuisine in which local produce has pride of place. In the summer months, you can eat your lunch or dinner on the terrace and patio close to the pool or in the shade of the barn. And as the days become shorter and the sun cools, you will enjoy your meals in the restaurant itself with its large arched windows. Exit Avignon Sud, direction Marseille-Aix. At the only traffic lights turn right direction Mollégès (3 Km). At the central roundabout in the village turn right, Mas du Capoun is 200 metres further on your right.